DEEP CLEAN your skin. 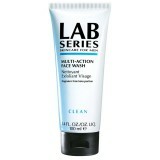 As a guy matures a face wash alone may not be enough to remove the build up of our dead skin cell. So invest in a facial scrub/exfoliator. The tiny beads or grains dispersed throughout the liquid will make light work of unclogging pores and sloughing away dead skin debris. LOOK FRESHER with visibly more radiant skin. Scrubbing is simple effective and the results are instant. You will also benefit from a smoother shave. 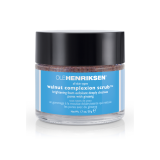 TREAD SOFTLY and choose a gentle scrub with tiny grains (the larger grains in cheaper scrubs may tear the skin.) Scrub is a product not an instruction, so be gentle. 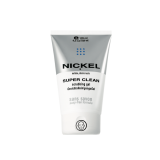 – Use once a week if your skin is sensitive and up to three times if it is oily. – Rinse until water runs clear and then pat dry. 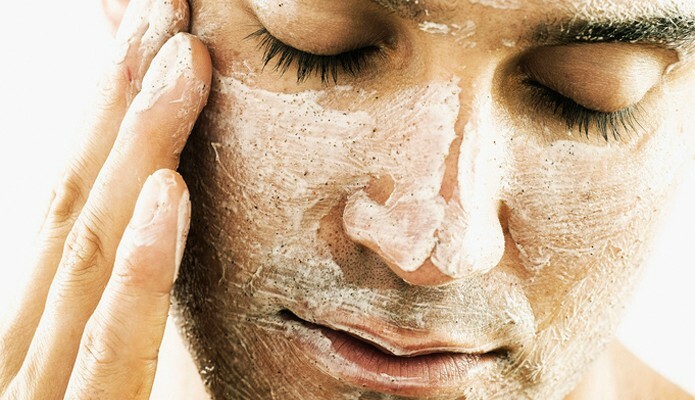 SCRUBBING removes some of the skin’s protection. Make sure to apply a moisturisers with SPF especially during the summer months as you will avoid both sunburn and skin damage. Lastly never use before an important engagement, no-one wants to arrive red faced at dinner or on a first date. 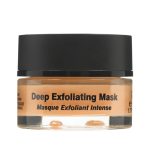 "Deeply penetrating gives dramatic results." 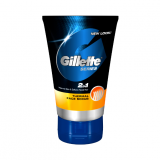 "Gentle foaming action that smells good enough to eat"
"Great pre-shave scrub to soften facial hair."